The voice over IP (VoIP) service space is growing more profitable with each passing year. According to most reports, mobile devices are winning the phone war battle handily over the dwindling legacy technology of the past . . . namely, landlines. According to a recent Transparency Market Research report, the global VoIP market is projected to grow to $136.76 billion by 2020 (almost double what it was in 2013). This shift will affect VoIP providers and users as more and more businesses decide to go completely mobile. And the more aggressive VoIP companies like Telzio are actually leading the charge as they roll out updates and new features pertaining to cloud-based access, mobility and wireless connectivity. Telzio, provider of small business phone systems, launched new SMS and fax features earlier this year, enabling users to transmit text messages and faxes through their dashboard. With Telzio’s hosted PBX system, users receive a full suite of communication tools they can easily personalize for their preferences. The improved SMS and fax features have enabled SMBs to further integrate services into one platform. SMBs can also get a free Telzio mobile app for all of their staff members. Available for iPhone and Android, users can take their VoIP phone system anywhere they travel. The app enables users to make and receive calls with their business phone number. Taking business calls on one’s mobile phone while obtaining the same features one gets from an IP phone has become a necessary requirement in today’s ever-evolving mobile milieu – and Telzio has addressed that need. To engage with this level of mobility and growth, VoIP services like Telzio’s are changing up how SMBs use to conduct business in the past where only devices approved by one’s companies could be used. 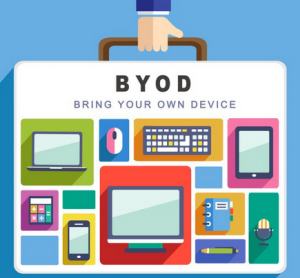 Today small and even big brands are adapting to the BYOD trend and adding them to their standard business practices. It’s becoming more and more common to integrate employees’ devices into one’s company system — whether it be via a smartphone, tablet app or an automated business caller ID assigned to each device. According to a ‘Global Manage Security Services Market’ report for 2015-2019, SMBs worldwide are increasingly adopting the BYOD policy to reduce their operational costs. Furthermore, capital expenditure decreases as well, due to the elimination of device purchasing. With VoIP’s inherent ability to eliminate local and long distance communications costs, SMBs can be more aggressive about growth since a significant portion of a company’s expenses can be now be shifted from the operational end of the business to market outreach and sales and marketing activities. Additionally, the make-up of the workforce is rapidly transitioning from the Boomer generation to the Millennials, who are now leading the VoIP charge and its technological advancements going forward. So, as noted in a previous post [“Millennials Poise ‘BYO PBX’ For Growth”], as time goes on, it’s wise for SMBs and even large brands to follow their trend-setting lead.